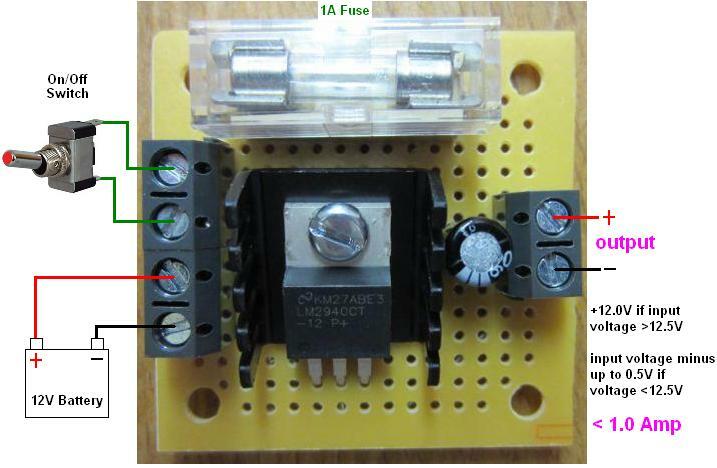 Buy of MINI 12 VOLT REGULATOR WITH FUSE AND SWITCH TERMINALS. This is the mini version of the REUK 1 Amp 12 Volt Regulator with Fuse and Switch Terminals which is itself a modified version of our standard 12 Volt Regulator. This product is designed to supply a regulated 12.0 Volt output from a 12V battery for connection to LED lighting and other sensitive electronics which can be damaged when the supply voltage exceeds 13V. This device is supplied with a fuseholder fitted to the circuit board, a 1 Amp fuse fitted, and a further two 1 amp fuses for spares if/when you need them. There are also screw-in switch terminals with which you can connect an on/off switch (not supplied) to turn the regulator (and its output) on and off. This board is just 45mm x 45mm x 20mm in size making it very useful where space is tight. 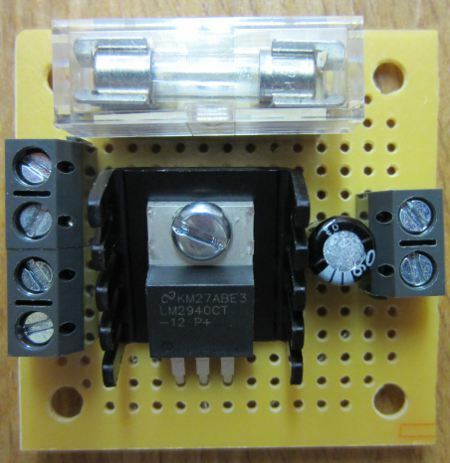 Click here if you need to purchase a Toggle Switch (1.5A rated) to go with this regulator. 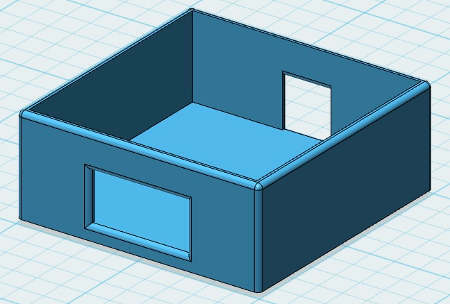 We do not offer an enclosure for this voltage regulator, but one of our customers has very generously shared the STL file for the enclosure he designed and 3D printed for his regulator.